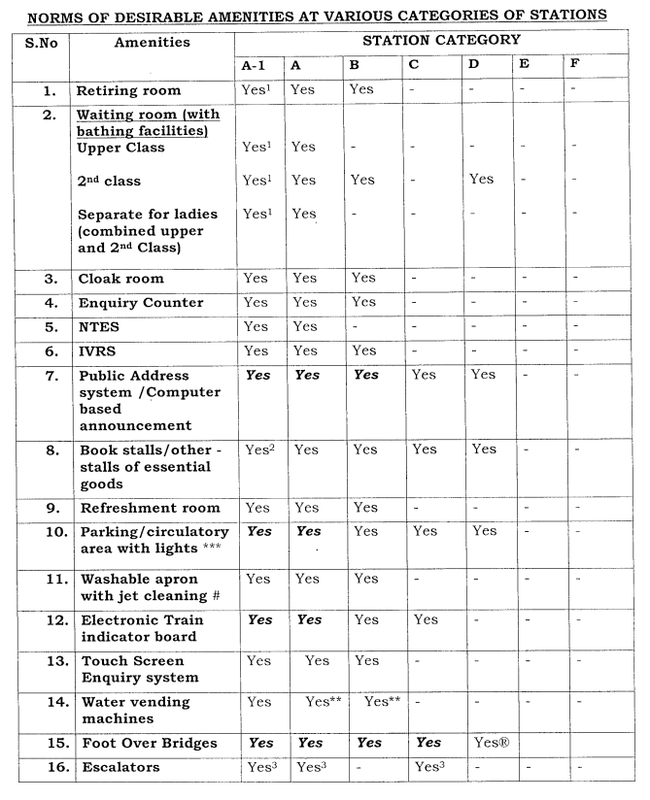 Facilities which are provided to passengers at station as well as on trains. 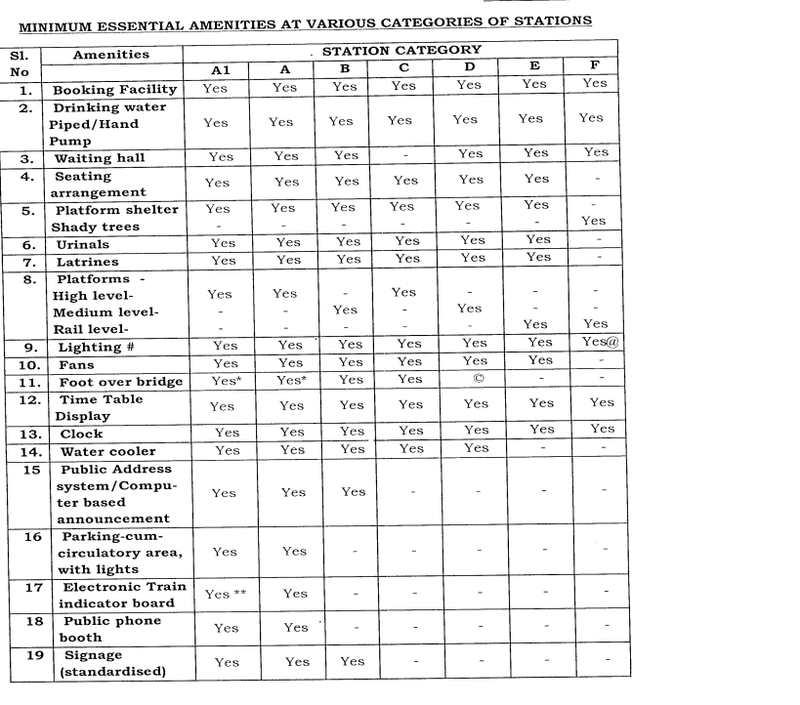 How the category of station is classified? A1 - Above Rs. 60 crore. A - Above Rs. 8 crore upto Rs. 60 crore. B - Above Rs. 4 crore upto Rs. 8 crore. C - All suburban stations. D - Above Rs. 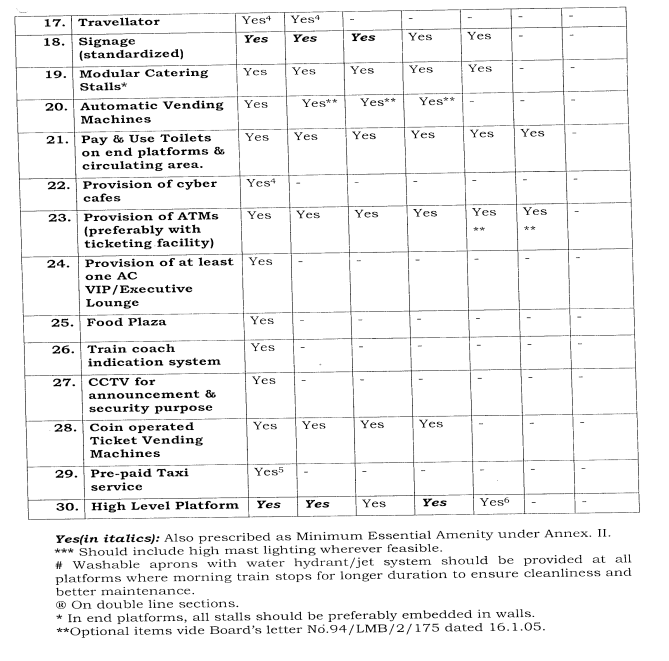 60 lakh upto Rs. 4 crore. E - Below Rs. 60 lakh. F - All halt stations.